Fish and Chips are the perfect Winter warmer, a lunch on the beach with friends, or a Friday night can't-be-bothered to cook solution. Here's Melbourne's Top 10 Fish and Chips options listed by area. Hooked regularly gets great reviews and is an inner-north favourite. Their batter is crispy and golden brown, with delectable chips. There is even a gluten-free option. Hooked is at 384 Brunswick Street in Fitzroy, and open till 8.30pm daily. Tommy Ruff in Windsor is located at 121 Chapel Street. They are open from 11.30am to late every day. With an extensive menu, you'll find a "Classic house fish & chips", a "Tacklebox for 2" that includes calamari, prawns, and potato cakes, and the massive "All Aboard" for the whole family. More details are here. You'll find Claypots at 213 Barkly Street. The menu gets a bit creative with Snapper, Red Emperor & lemongrass, or Kingfish, to go with the chips. They are open from noon to 10pm every day of the week. Hunky Dory is popular with the South Melbourne locals and is at 252 Clarendon Street. The menu could not be more traditional with "The Old School" fillet of flake, lemon and tartare, to go with your side order of chips. To find out more click here. Heading out west, the Synott Street Fish and Chip shop (number 3/32) has been serving up seafood and crispy fries to the locals for many years. They are open from 11am, and you'll find a great review here. It's great to scoff some fresh chips right near the bay, and Dlish Fish are at 3/105 Beach Street in Port Melbourne. All the classic chippery menu items are on offer including flake, blue grenadier, and barramundi. Check out this link for a review. They can close a bit early though at 8.30pm so get in quick. Fish on High is at 844 High Street in Thornbury. They are award-winning, and their chips or wedges, and fresh battered fish are cooked beautifully - here's the menu. They open at 4pm on Mondays and Tuesdays, and from noon on other days (closed Sundays). Sure, Frankston is a bit further South, but it's still a beachside suburb. 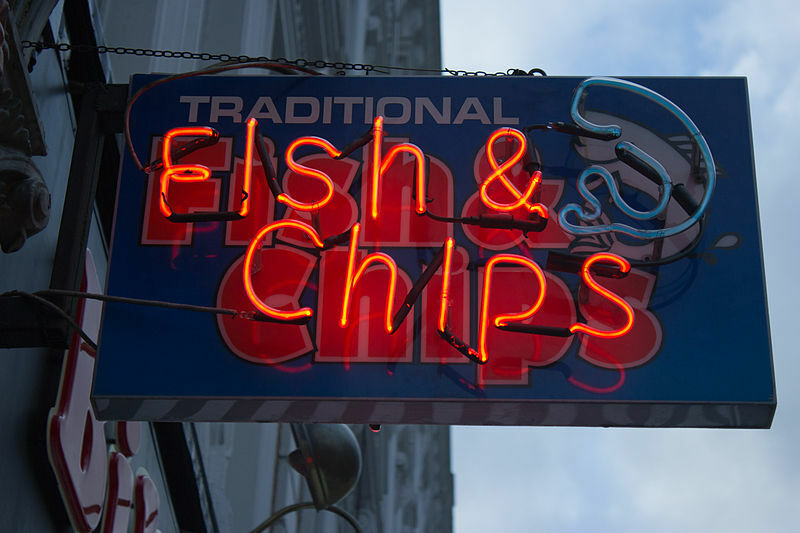 Pacific Fish & Chips serves many loyal locals their seafood and chippy delights - you'll find them at 215 Beach Street. Pacific are open 11.30am to 9pm daily. Clarinda Fish and Chippery is at 9/67 Bourke Road. The shop is generally open from 10.30am to 8.30am daily (closed on Mondays), and offers tasty cheap fish packs and crispy chips on their menu. And last but not least is the Sea Salt Seafood Restaurant in Carlton. This place a bit pricey, but the quality is great. The "Fisherman's Basket" adds prawns, scallops, and calamari, to your fish & chips for the extra hungry patron. The full menu is here. The Fish â€˜n Chip shop on North Road ORMOND just before Jasper-Grange Road intersection is great! Only place that cooks Potato Cakes properly! !